Doctors, nurses, and other healthcare professionals have clued into what moms and motivational speakers have been saying for decades – modern, twenty-first century workplace culture is a disaster. No, it isn’t because of bad bosses or the lack of “casual Fridays”. Rather, it’s something much more pernicious for its apparent harmlessness. After all, what could be less threatening than a desk job? The fact is, though, that the sort of prolonged immobility that a cubicle-bound office worker experiences as a matter of necessity is ruinous to the health and welfare of the human body. Simply put, people aren’t designed to sit for what amounts to a full one third of the year. Still, the average desk job, especially in fields like IT and law, requires just that – eight-plus hours a day, five or more days a week, with maybe a two-week vacation. 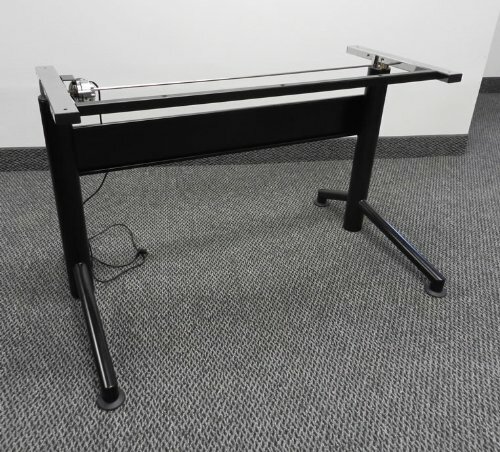 The folks over at Beyond The Office Door know this only too well, being purveyors of their own line of highly useful standing desks – aptly named the VertDesk. The fact is that a little activity, even if it’s just standing up while working, can work wonders for the average white-collar worker, and that these simple pieces of office furniture have been proven to improve the health of the user while simultaneously increasing their productivity. Neat, eh? 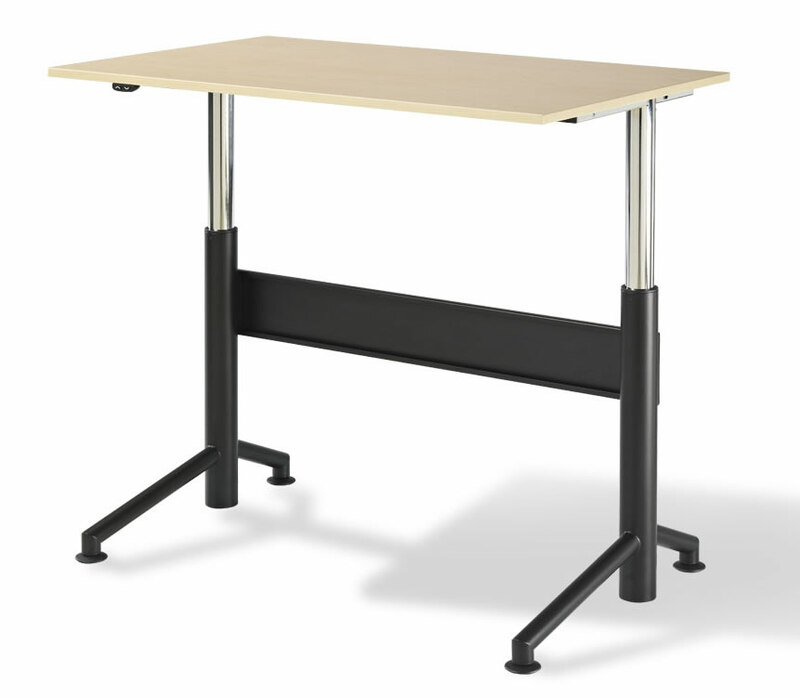 So check out the video below and then read more about adjustable height desks. 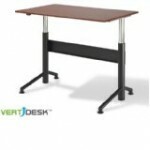 Keep reading to learn more about the features and functions of the Vertdesk.